Back by popular demand! 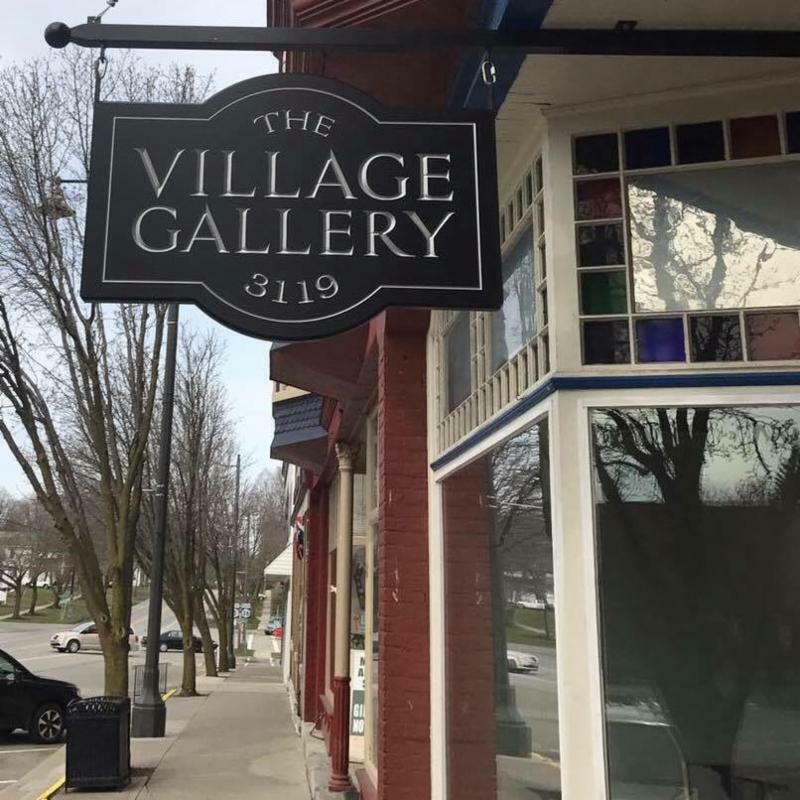 Come to Big Springs Historical Society for a night of beer, wine and cider tastings – with Dublin Corners Farm Brewery, Brindle Haus Brewing, Deer Run Winery, Gallery Vineyards, and more! Don’t miss a night of fun, tastings and the amazing music of Tullamore Celtic Band! 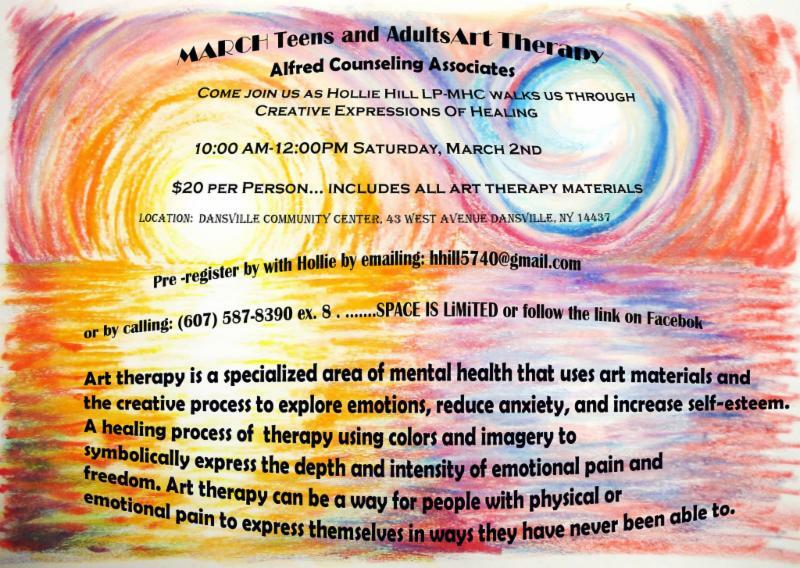 $20/person ($15/member). Don’t wait too long, tickets will sell out fast! 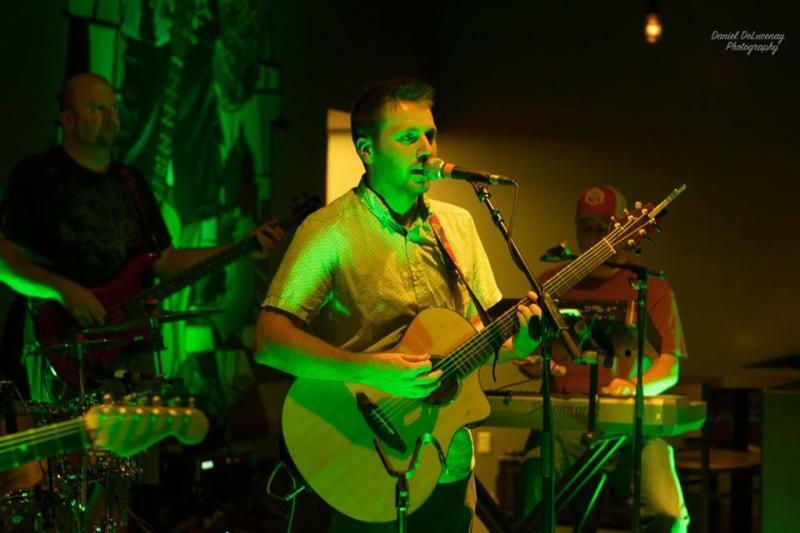 Neil Van Dorn will be performing in the taproom as a solo artist for a night of acoustic tunes. 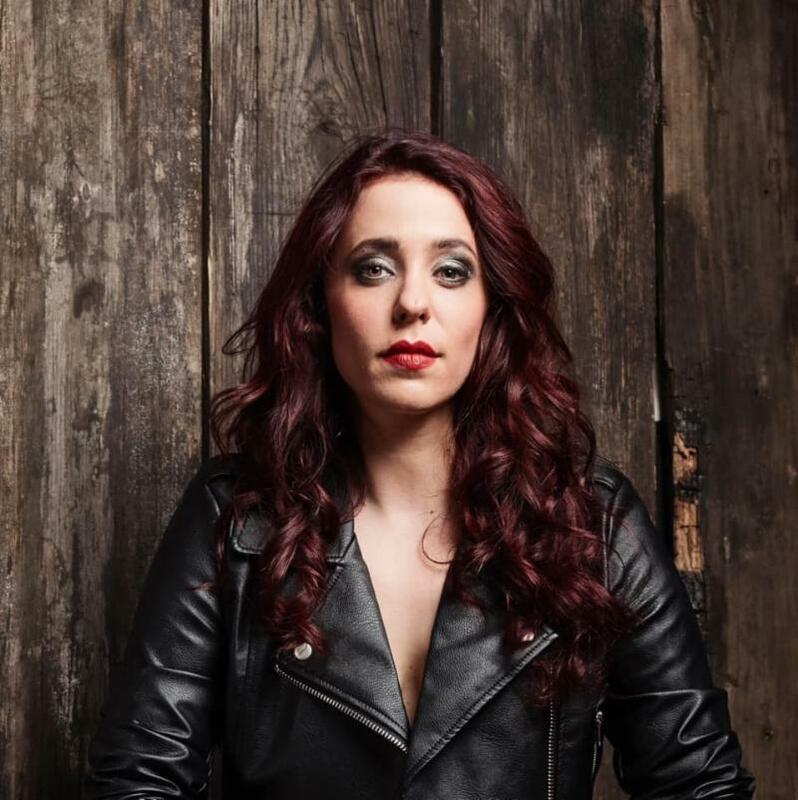 Check out the band’s newest single “The Sauce”, the first single from the band’s forthcoming full length album, set to release in early 2019. 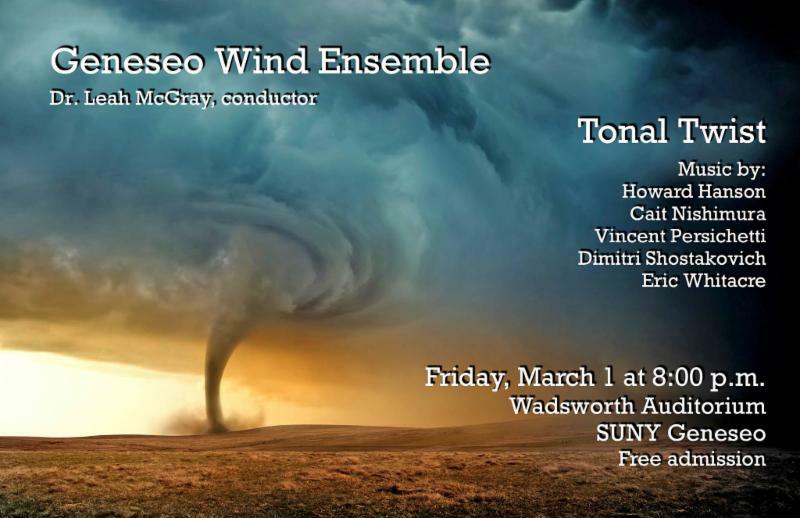 Join the Geneseo Wind Ensemble’s “Tonal Twist” concert featuring works by Shostakovich, Persichetti, and Whitacre, and the premiere of a commissioned work by Canadian composer, Cait Nishimura. 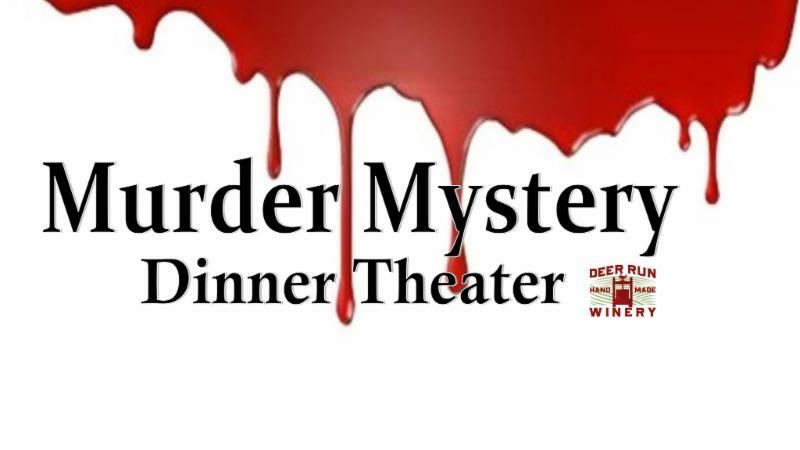 An evening of interactive dinner theater provided by The Mystery Game. Reservations required and include an Italian dinner buffet. 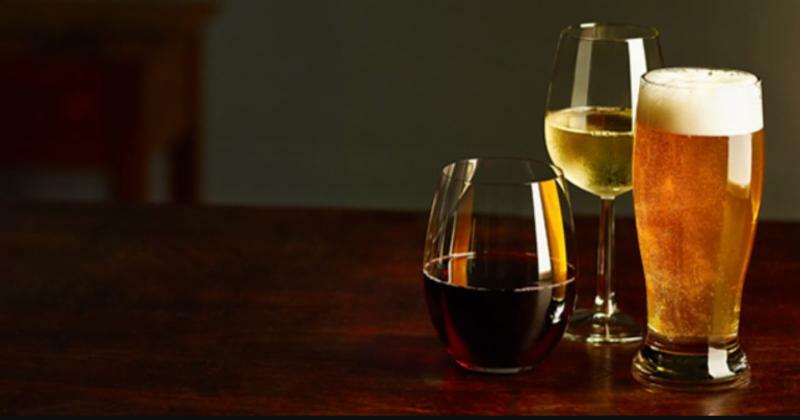 Wine, beer and cocktails will be available for purchase. 21 + only. Saint Michael’s Episcopal Church hosts a local talent show to raise funds for mission in the community, especially youth. 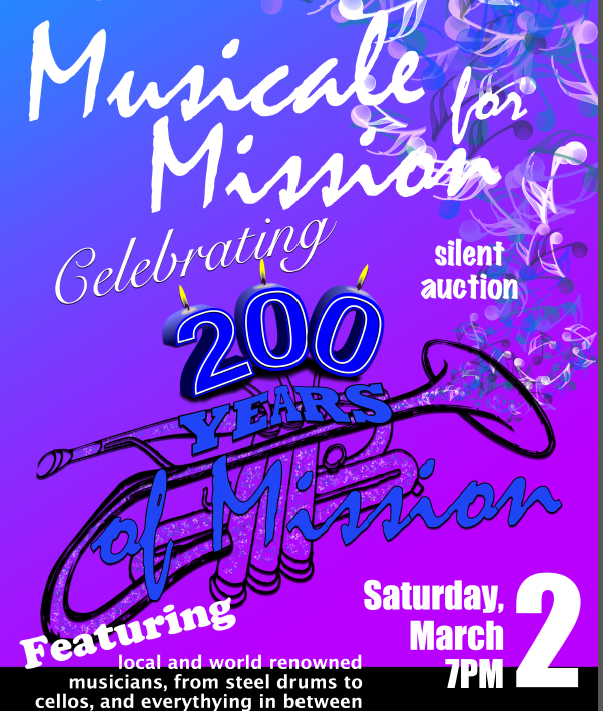 It is a wonderful evening of music, food, Silent Auction, Chinese Auction and fellowship. 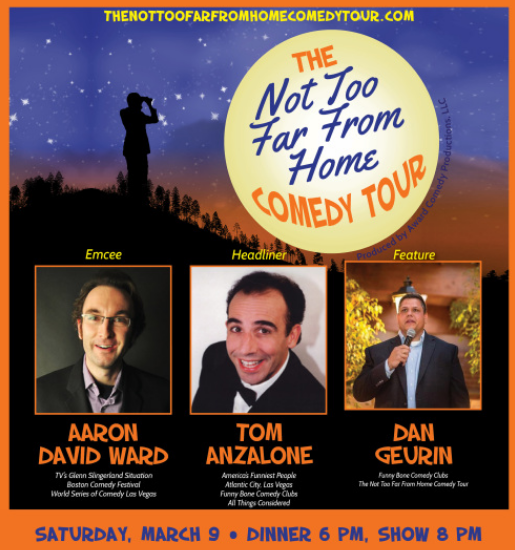 Tickets $8/person, $20/family and at door $10 or $22. 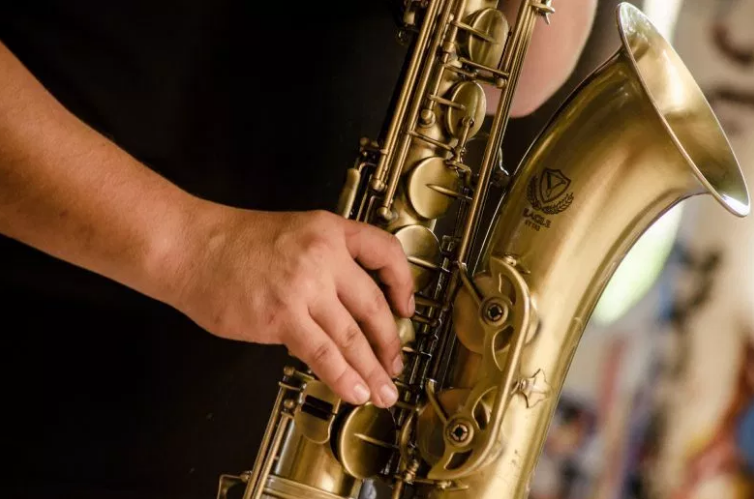 The Little Lakes Community Association presents the 2nd Annual Night of Jazz at the Old Hemlock School. This event costs $7 and includes admission, refreshments and lots of room for dancing. 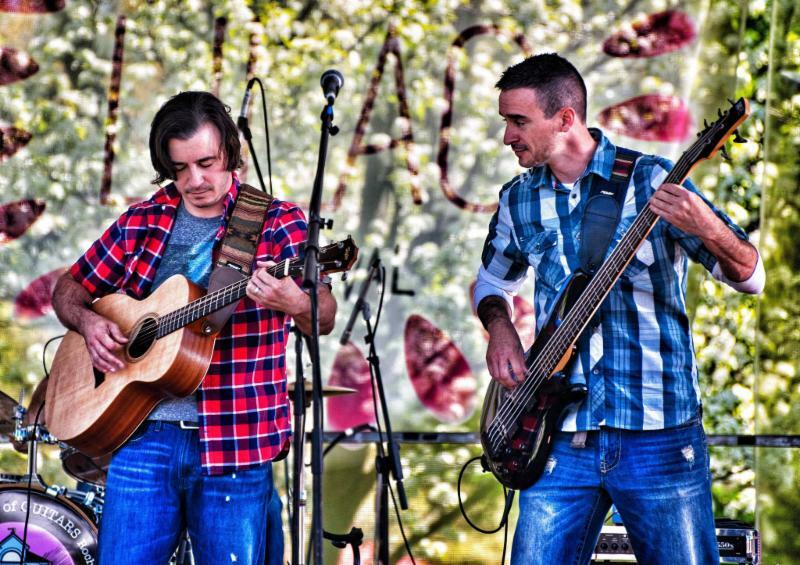 The Band Audibull will be performing live at the Wadsworth Grill on March 2! Performing live at Fanatics! $20 cover. Call 624-2080 for reservations. 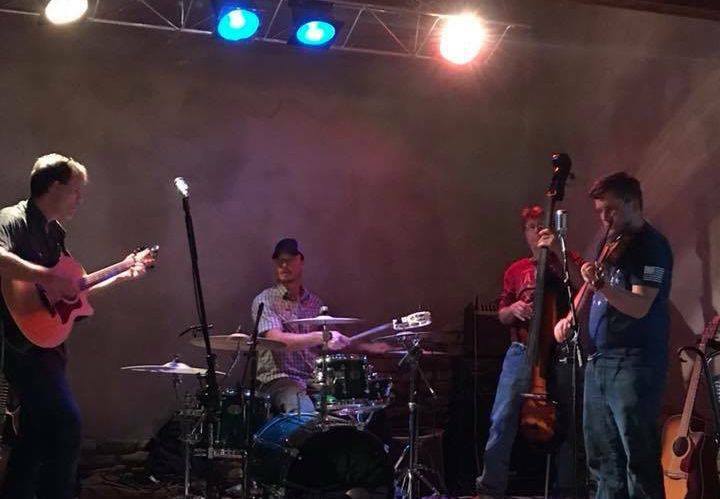 Groveland Station will be performing live at Battle Street Brewery on March 8! A celebration of Rory Gallager with Nick Schnebelen live! 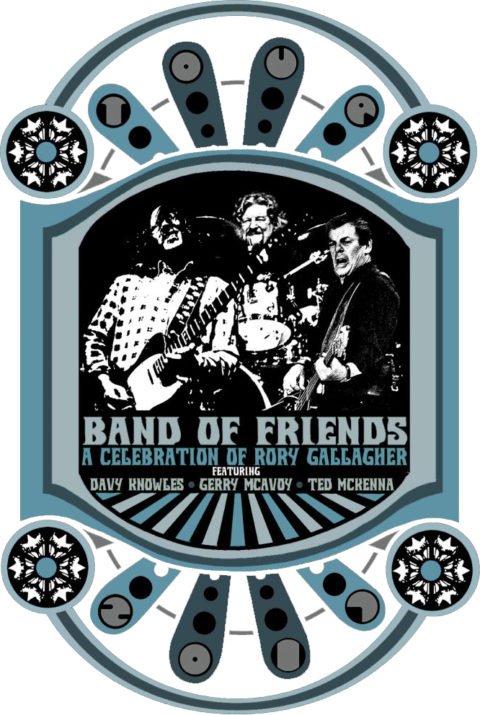 Featuring Davy Knowles and Gerry McAvoy, deliver, not just the notes, but the sound, energy and feel of Rory Gallagher, by people who helped define it. Tickets: General admission $30 in advance, $34 at the door. VIP admission $35 with table service – $39 at the door. 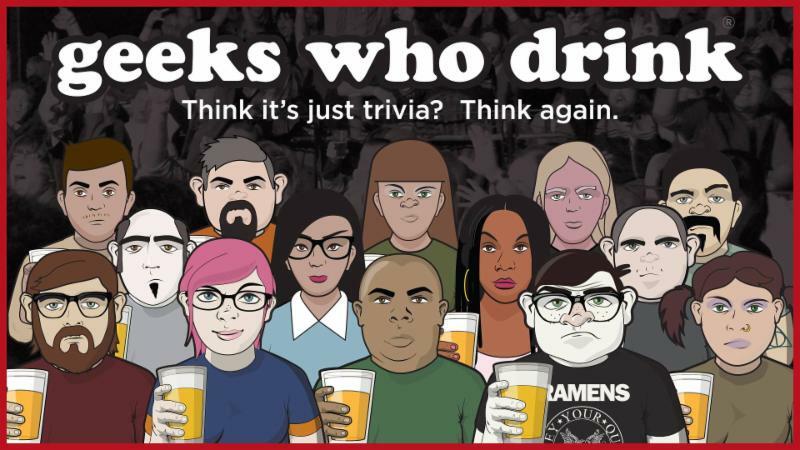 Geeks Who Drink brings the nation’s best live hosted pub quiz to Rising Storm Brewing Company! Join in on 8 rounds of audio, visual and live hosted trivia. This is free to play and there will be prizes for answering bonus questions and gift cards for our top teams at the end of the night. Independently search for shamrocks and gold, hike the trails looking for leprechauns, or create Irish-themed art in the Nature Center building. Gather your friends and family to cheer you on as you compete in a round of Faugh a Ballagh, or road bowling, or “What time is it Ms. Wolf?”. The fun doesn’t end there, stop into the Nature Center building between 1 PM and 3 PM to learn how to leap and kick like a real Irish dancer! 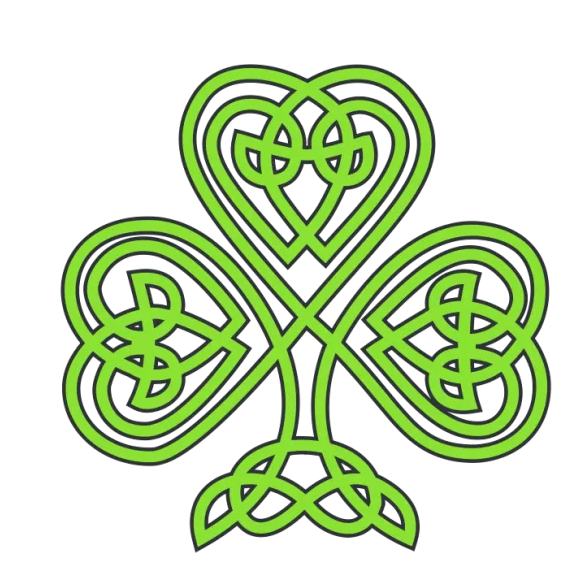 This is a program of mostly Irish music and dance, performed by the Geneseo String Band with SUNY Geneseo’s Sláinte Irish Dancers, soprano Sarah Ploof, uilleann piper Tim Benson, and guest musicians, singers and dancers from Rochester’s very musical Irish community. General Admission $10, seniors and students $5, 12 and under free. 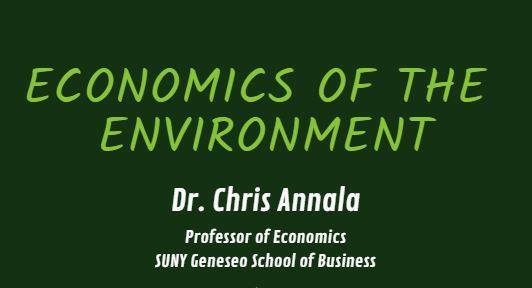 Dr. Chris Annala from the SUNY Geneseo School of Business will present about how economics and the environment intersect. This casual and fun event will be a great opportunity to ask any questions you may have about the topic! There will be light refreshments. 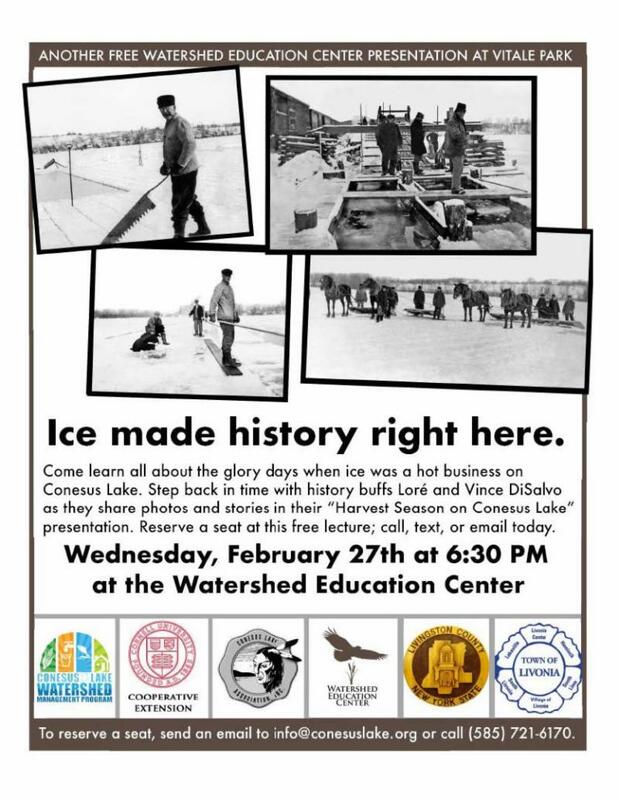 Come learn all about the glory days when ice was a hot business on Conesus Lake. Step back in time with history buffs as they share photos and stories in their "Harvest Season on Conesus Lake" presentation. 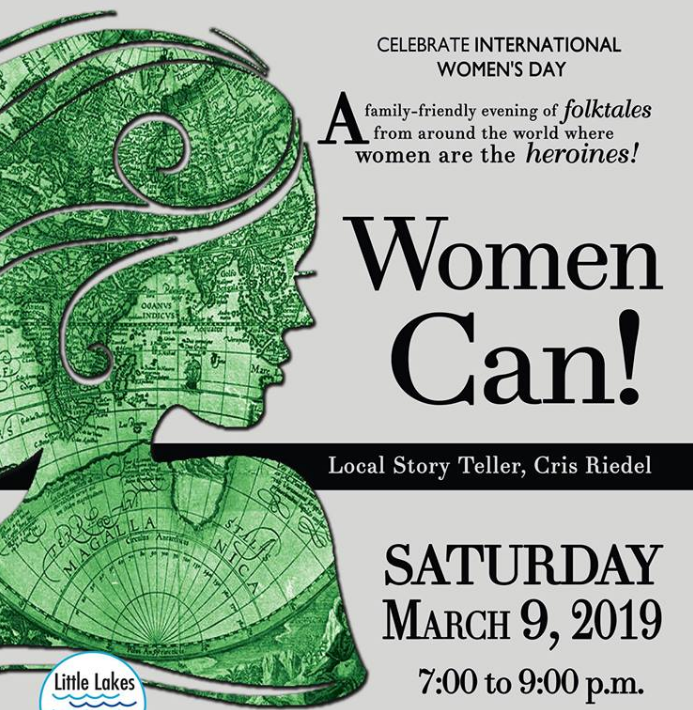 Cris Reidel will share stories from several cultures, where women overcome being underestimated by their communities to triumph in the end. This event costs $7 and includes admission, refreshments and is family friendly. Will Wadsworth, principal of the Wadsworth Homestead business, delivers the 212-year history of a Livingston County Landmark. 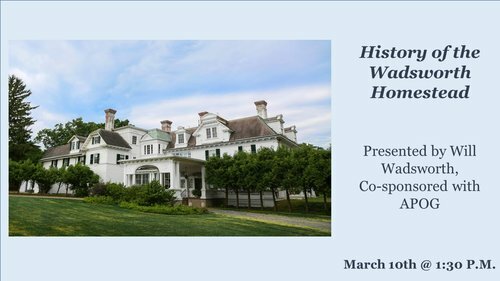 The Homestead is the oldest continually owned private residence west of the Hudson River. Hear stories about the pioneer brothers who settled Geneseo and the many famous people who visited here. 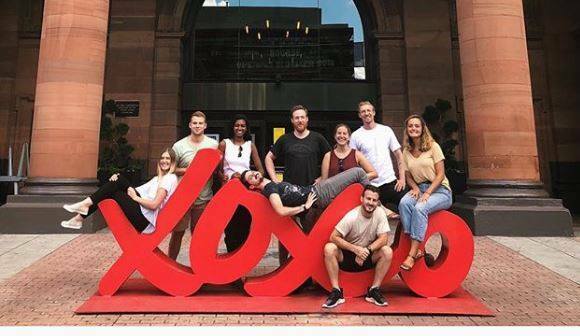 The Downtown Partnership of Livingston County is planning an exciting new initiative called the Inspirations Trail, that will drive visitors to the downtown districts through the use of public art. 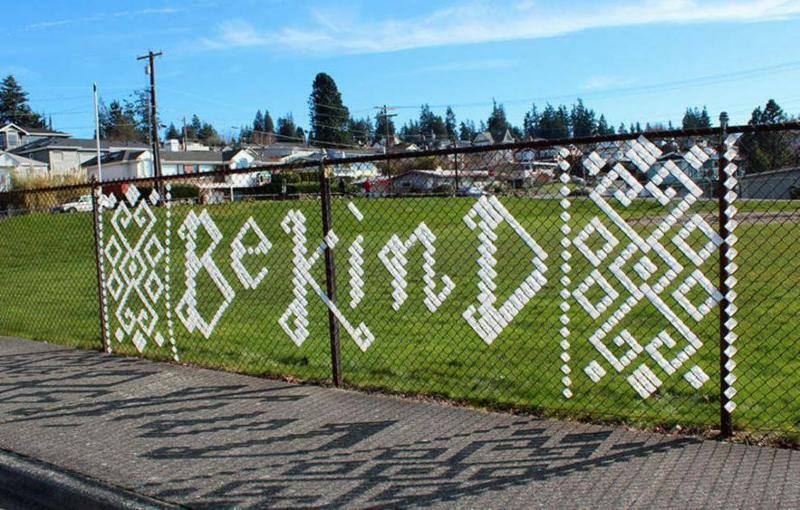 Each district will have a Public Art Committee to discuss public art options. All meetings are open to the public. Come celebrate this amazing show with light refreshments. Free and open to the public. In addition, the People’s Choice Award will be voted on that day only! 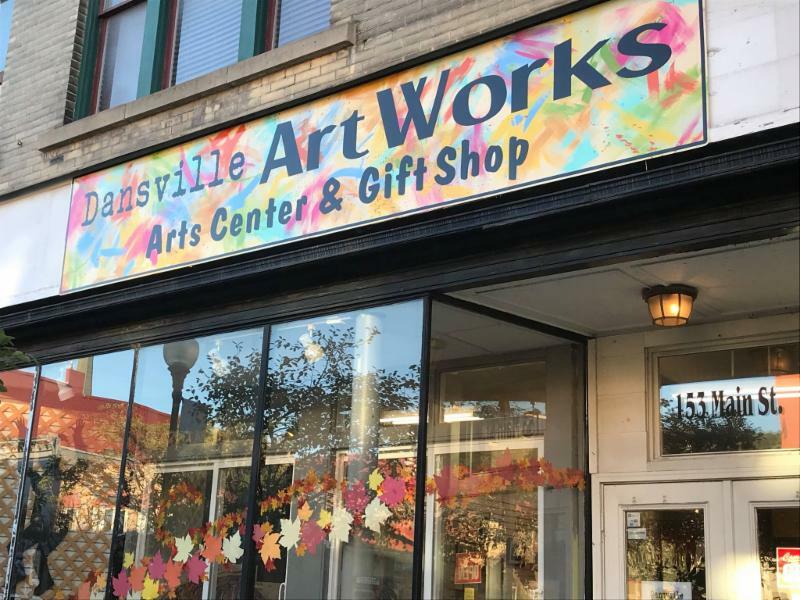 Winner will be announced after the juror award, and the winning artist will receive a Dansville ArtWorks gift certificate. The exhibit runs through the end of April. Owner Bill White is exhibiting a series of paintings from Jekyll Island Georgia and Caledonia. This annual supper is a hit in the Village with great food and superb desserts. 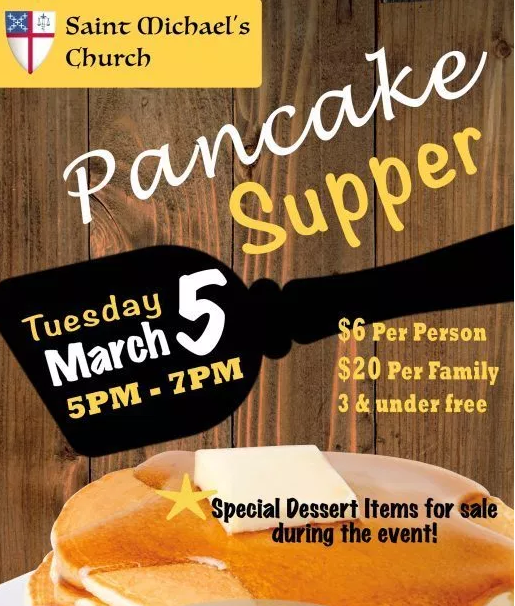 Come prepare for Lent by enjoying a last bit of indulgence on pancakes and sausage. Tickets $6/person, $20/family. This is the 12th Annual Ladies/Girls High Tea Fundraiser. Create your own Theme Table and come for High Tea! All ages welcome. 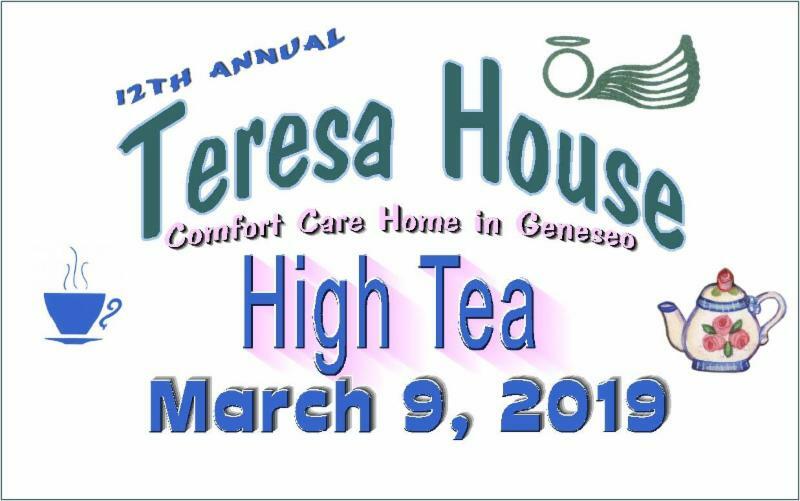 A delicious assortment of teas, beverages for young ladies, sweets & sandwiches will be available. Cost- $15 per person: $10 per child (age 10 and under). This roaring 20’s theme to celebrate the 100th Anniversary of the American Legion Auxiliary is a great date night! There will be a silent auction, great music, and food. 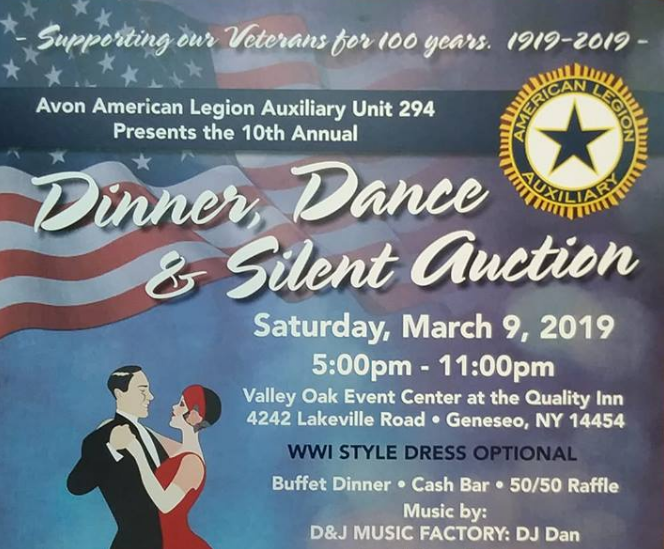 Proceeds to benefit our local veterans through Rochester Veterans Outreach Center and Finale Salute, Inc. Tickets going fast, secure your before March 2nd. 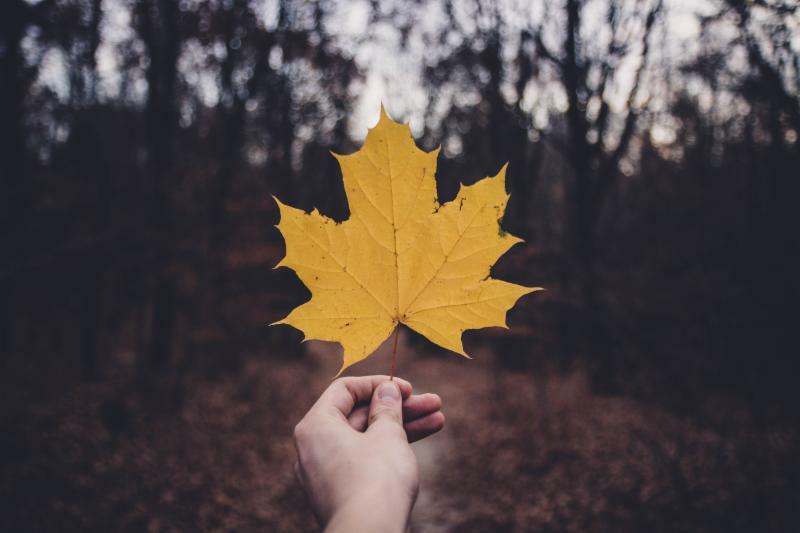 Learn the entire history of maple sugaring, from sap to syrup. Programs cover history of maple sugaring, how maple syrup is made today, ample tree identification, and even some samples! Located in the Humphrey Nature Center. 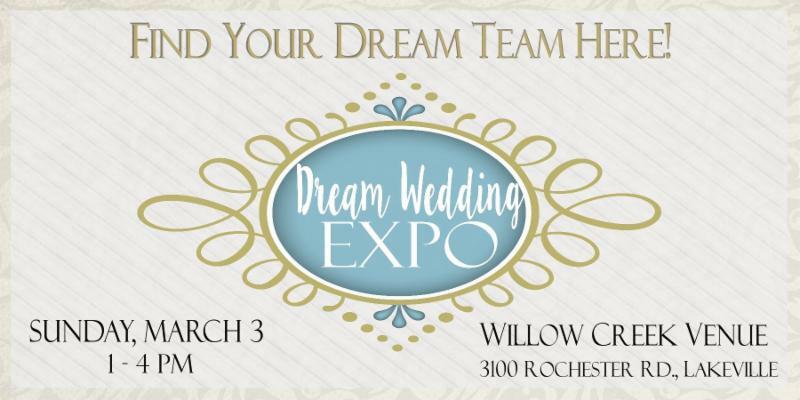 Say “I do” at the Dream Wedding Expo and find your dream team! Some of the best in the business will be gathered in one place to help make your special day a dream come true. From florists to caterers to vacation planners, destination venues, nationally famous cake makers to newlywed services, salons, and wedding dresses, we’ll be showcasing the businesses dedicated to making your wedding day a dream come true! 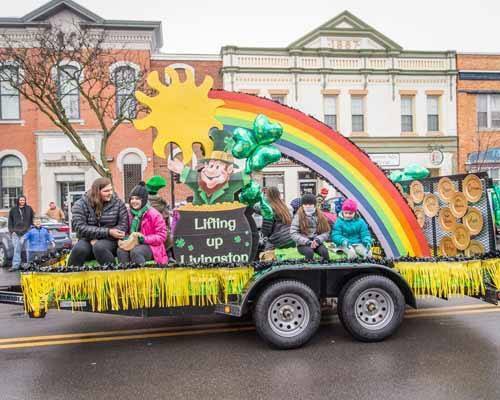 Mark your calendar for the 5th Annual Livingston County St. Patrick's Day Parade on Saturday, March 16! The parade route will go down Clinton St. to Genesee St.
After the parade several local businesses will be featuring specials and holiday menus. 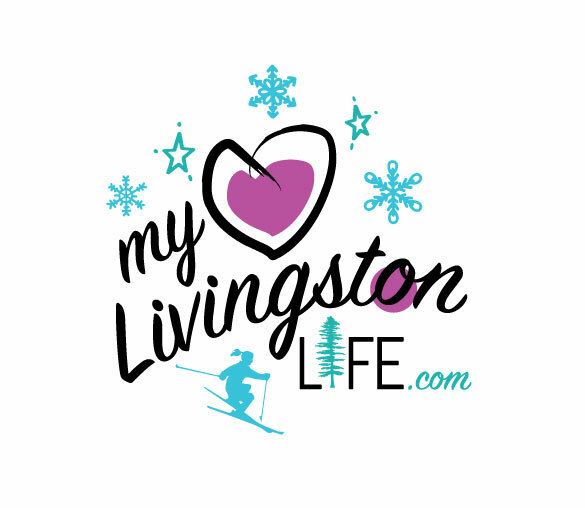 Lifting Up Livingston will be hosting a family friendly party at the Village Fire Hall until 4PM. All groups & individuals are invited to join. Please register at liftuplivingston.com if you are interested in participating in the parade, party or both! 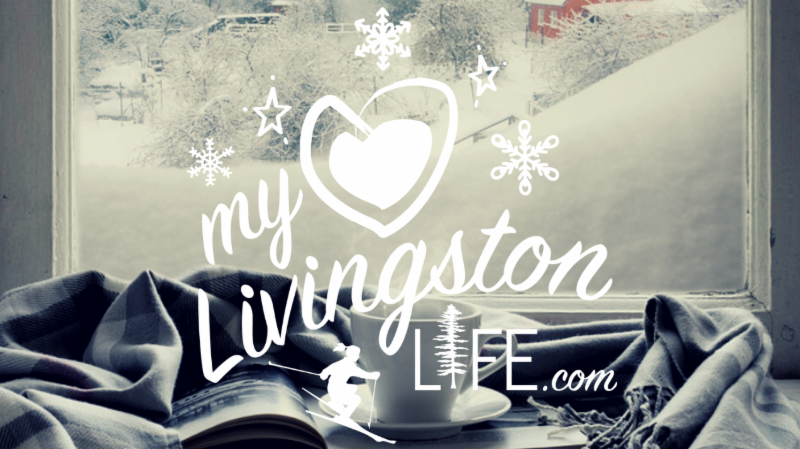 My Livingston Life is a biweekly newsletter. Expect your next issue on Monday, March 11!